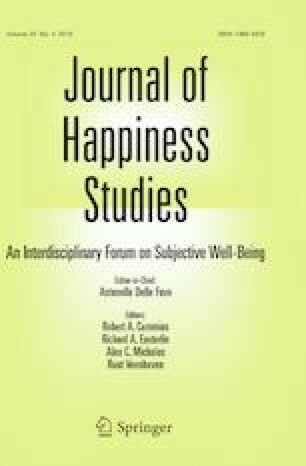 Healthy aging is related to increased happiness along with attention and memory biases for positive information, which has led some researchers to suggest that older adults may be better at savoring (i.e., emotion regulation strategies that up-regulate or maintain positive affect). Paradoxically, preliminary empirical findings suggest that savoring is maintained across adulthood or may even decrease with age, but this research has relied solely on the use of self-reported questionnaires. The current study further investigated savoring in adulthood (N = 119; age range = 18–83 years) using self-reported questionnaires and an experimental savoring task where participants were instructed to up-regulate positive affect about a previous positive event. Emotional goals and motivations that might underlie age differences in savoring (hedonic motivation, ideal affect, and future time perspective) were also examined. Overall, results suggest that older adults savor less than adults of younger ages. Older adults reported lower trait savoring using self-reported measures. Similarly, young adults and middle-aged adults randomly assigned to the experimental savoring task experienced more positive affect than those assigned to a neutral control task, but older adults did not experience these same emotional benefits. Relations between age and savoring were mediated by an age-related decrease in hedonic motivation and the desire to experience high arousal positive affect. Together, these findings offer new evidence that older adults may savor less than young adults and middle-aged adults, which may be partially due to age-related differences in emotional goals.